Colonial Charters Golf Club has gone through many changes since it originally opened with the latest being the re-opening in August of 2013. 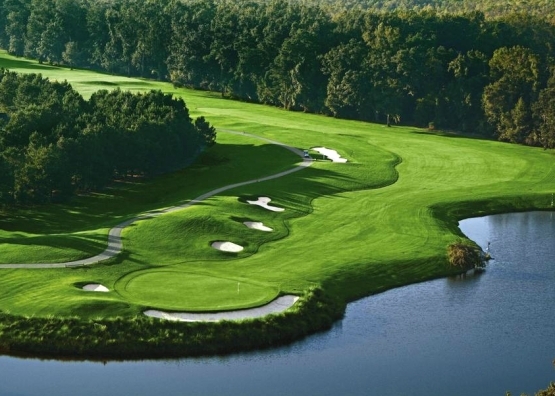 Golf course architect, Rick Robbins, redesigned this Myrtle Beach golf course that features tree-lined fairways, abundant water hazards, two waterfalls, strategic bunkering and some relatively easy holes that offer a chance for great scoring opportunities. Colonial Charters is a fun golf course that can test all skill levels of golfers. The clubhouse has undergone renovations which makes it the perfect place to unwind after your round. North Myrtle Beach is the perfect place to stay on your next Myrtle Beach golf vacation as Colonial Charters is only a few minutes from downtown North Myrtle Beach. After golf you will certainly want to take advantage of the wonderful entertainment. The Ocean Drive Section of North Myrtle Beach is known world-wide for “The Shag”, which is the State Dance of South Carolina. The clubs located along Main Street offer some of the best entertainment venues on the East Coast. The “PARTY on Main Street” continues year-round ensuring that you will always be entertained. Some of the clubs you will want to visit are Duck’s on Main, Fat Harold’s Beach Club, the OD Pavilion and the OD Arcade and Lounge. Myrtle Beach golf packages offer the very best in Myrtle Beach golf deals. It is time to build some memories so book your Myrtle Beach golf package!